Posted on March 13, 2013	by Derek "Gamer Crash"
Vergil’s Downfall is the first major DLC offering from Ninja Theory picking up just moments after the conclusion of DmC: Devil May Cry. I won’t spoil that event for those of you who have not finished the game, but if you’re curious, here’s a handy video. This time around we’re given complete control over Vergil and his sword Yamato as we experience his story. I was a big fan of Ninja Theory’s re imagining of the popular franchise so more of a good thing can’t be bad right? As I mentioned above, Vergil’s Downfall takes place moments after the end of the core game and Vergil, now in really bad shape, collapses on the grave of his father. It’s here that he finds himself in a hellish limbo world. Bent on revenge and spurred on by a dark shadow version of himself, Vergil sets out on a path of revenge and darkness in an effort to escape the nightmare he currently finds himself. The tone of this DLC seems to be a dramatic shift from the main game as Dante manages to rise above his past experiences of one night stands and general debauchery to become a sort of savior to mankind, Vergil actually has to embrace his inner demons as he falls from grace so to speak. Vergil’s Downfall takes place completely in a limbo type of place so don’t expect any real world levels or issues dealing with society. One major difference is that these levels appear to be less dynamic than what’s found in the main game. The levels do break apart here and there but there are no events where the level becomes self aware and tries to kill you. Still, it’s all visually interesting and each level seems to be a twisted version of a level from the main game such as Vergil and Dante’s childhood home. About 95% of the cutscenes are told through these animated almost comic book style looking scenes. Personally, I wasn’t a huge fan, preferring the in-game models instead. In addition, the majority of the enemies you’ll be facing are the more vanilla types from the core game, though you will be facing off against a couple new ones, namely the Wisp and Imprisoner. While the control scheme remains the same, Vergil manages to feel completely fresh from his brother. Vergil’s move set feels trickier and more tactical than the stylish and quick moving Dante. For one, Vergil’s move sets are based around his teleportation and blink abilities. The best example of this is in his Lift and Pull abilities. Where Dante has a sort of grappling move, Vergil shoots a demonic/angelic summoned sword which warps him to where he needs to go. The timing is a little different and coupling that with the fact that he can’t double jump means you’ll need to adjust on the fly until it becomes second nature. Vergil’s attacks are all done using his signature sword, Yamato, so don’t expect to gain any new weapons to use. He doesn’t even use ranged weapons so you won’t be seeing any guns either. Instead, his ranged attacks are centered around his ability to summon sword illusions. You’ll gain new moves including angelic and demonic abilities through the course of the DLC which helps to open up combat situations. As you gain more options in combat, the game starts to become more satisfying and fun. Like Dante, Vergil’s angelic attacks are quicker and handle multiple opponents while his demon attacks are powerful and slow, built more for single opponents. Each has their own upgrade path as well with new moves at the ready. By the end of the DLC, you’ll have a wealth of moves available and you won’t need to worry about enemies with certain weapon immunities so you’re free to experiment with combat. One of the big differences is how Vergil’s Devil Trigger is handled. Instead of having a single event that occurs when activated like Dante, Vergil has numerous Devil Trigger abilities that can only be pulled off if he has a certain number of blocks filled up. For example, activating his doppelganger will consume one Devil Trigger block while activating a shield of spinning summoned swords will consume four at a time. His Devil Trigger meter can be upgraded as well as his health through finding hidden items. I thought this was a great addition and really liked how it was handled. For some, having only six missions to go through may be kind of a turn off and I can’t really fault that line of thinking. It took me a shade over 2 hours to complete and frankly, I would have loved more. The DLC completely stands alone from the core game, having it’s own menu option, and not allowing players to transfer over any red orbs or upgrades. Vergil also has his own upgrade path and a small amount of items to collect through each of the six chapters. The trademark difficulties remain in place for those who want them, but I didn’t feel the need to venture back in after it was all said and done. Still, there is reason to go back and playthrough again between the items, upgrades and new difficulties to try. Vergil’s Downfall gives DmC fans more of what they want. It manages to tell a simple yet interesting story while mixing up the combat on a very satisfying level. While the DLC is light on dynamic environments, unique enemies, dialogue and cut scenes but the trademark combat and gameplay are as strong as ever. While the DLC does have some flaws (I really do wish there was more content), I have no doubts that fans of the game will find this content satisfying. 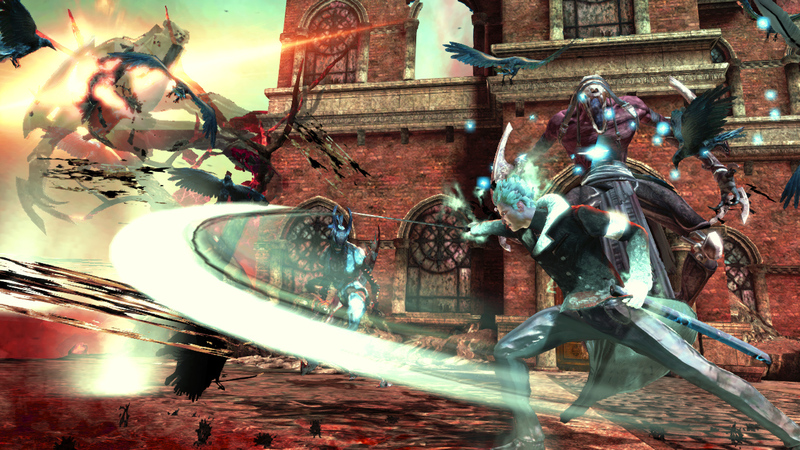 If you’re looking for a new experience, Vergil’s Downfall won’t do anything to change your mind. What’s interesting is that by the end, Ninja Theory has completely set things up for what could be a very interesting followup. I hope they get a chance to tell that story. 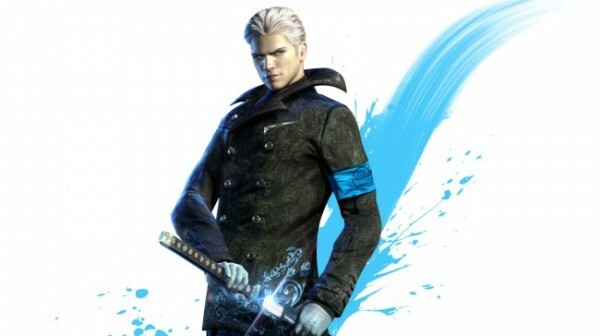 Recommendation: Worth a look if you’re craving more DmC gameplay and want to know more about what happens to Vergil. If you’re looking for something new, this may not satisfy you.